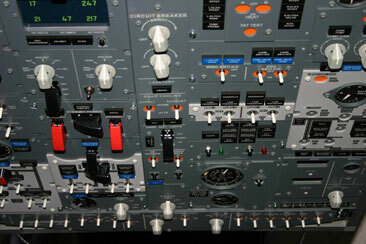 Complete your 737NG setup with this 100% size overhead panel. The overhead panel can be purchased as two seperate kits; a FWD overhead panel and a AFT overhead panel. The overhead panel comes as a kit. All frontpanels, aluminium backplates, annunciator legends and screws are included in this kit. The panels allow the use of our new annunciator holders, which can be ordered seperately. All the panels are ready for backlighting. Holes for leds, rotaries and switches are all pre-lasercut for easy mounting of your electronic hardware (not included). We have designed the overhead panel for optimal building flexibility. You can wire the panel sections you want and leave others as dummies. All top panels are highly detailed laserengraved. We have included a full set of decals, with gauge face plates to finish your overhead panel.